Sunday’s breakfast continues the European theme to the weekend: French toast. 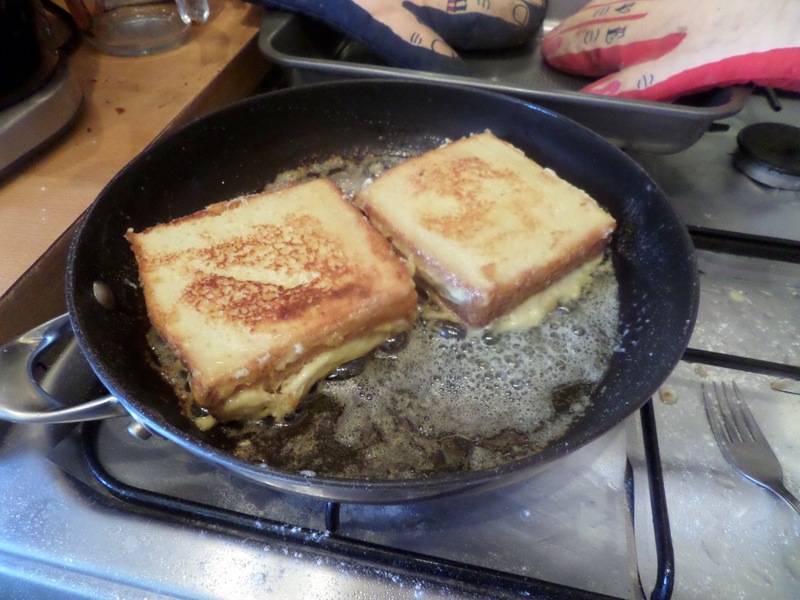 Or as Ottolenghi puts it in his Plenty More book (p332) Super French Toast! 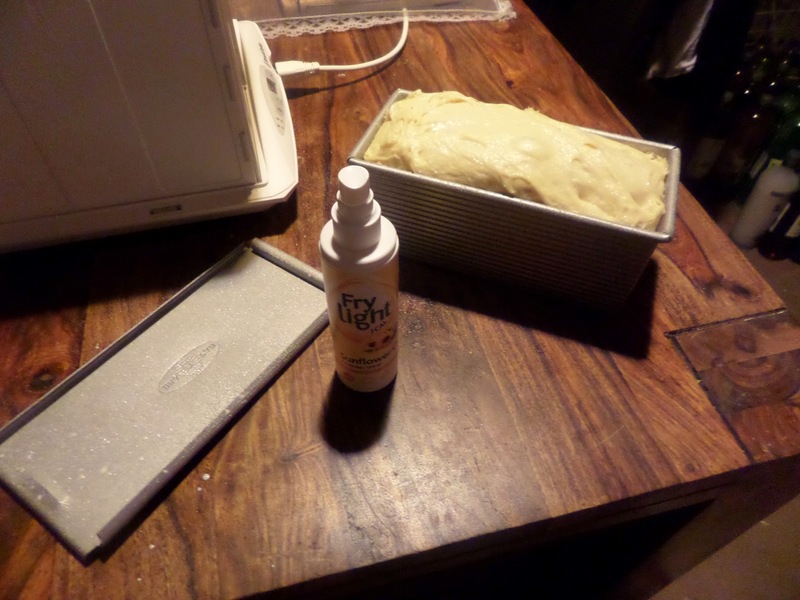 The recipe uses brioche bread, and of course I’m making my own. I was planning on using the Tartine Bread (p144) recipe, but I musn’t have read it properly during planning as it requires an overnight poolish, sourdough, and makes 6-8 loaves! 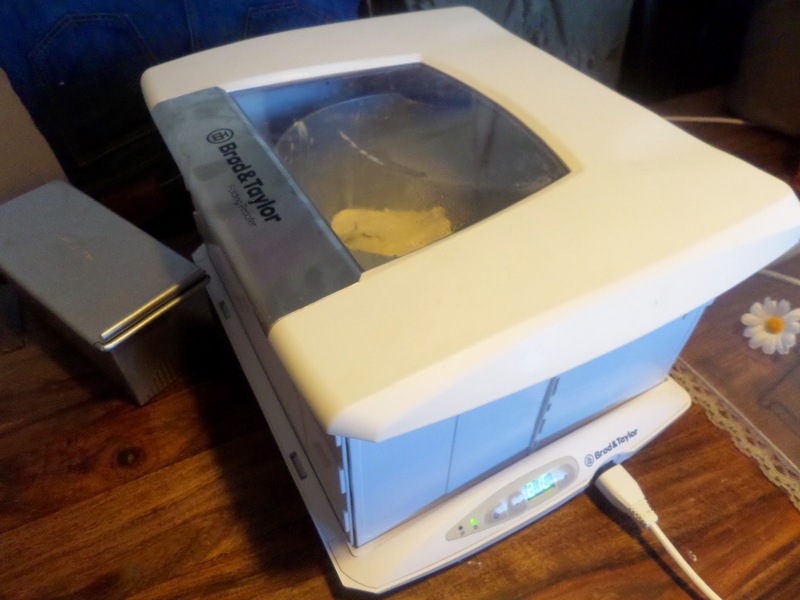 So as I need to make it in a day I’m switching to Leith’s Baking Bible (p600), and doing a warm proof in the proofer rather than a chilled proof overnight. It won’t be as good, but as we’re only using it for French Toast it’s not the end of the world. 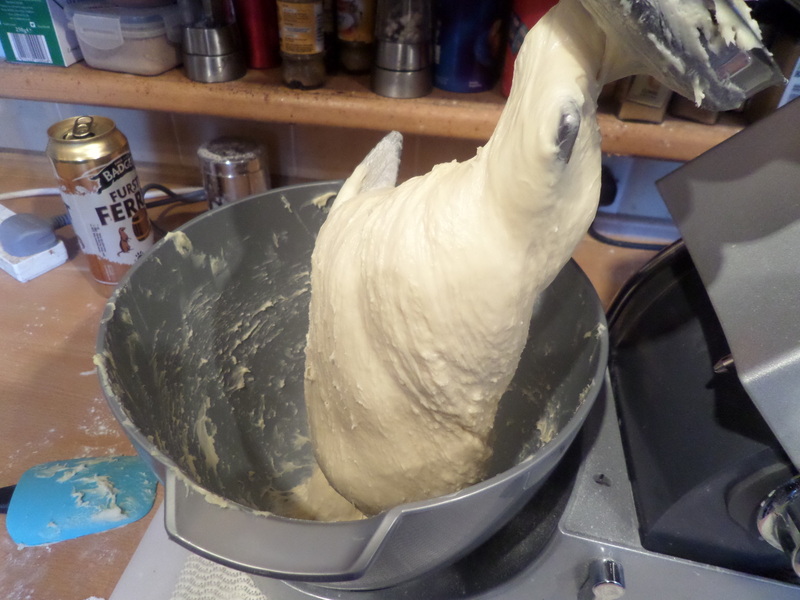 The dough is very smooth and stretchy with all the butter and eggs. Rising has to take lace at 21C to avoid metling the butter. 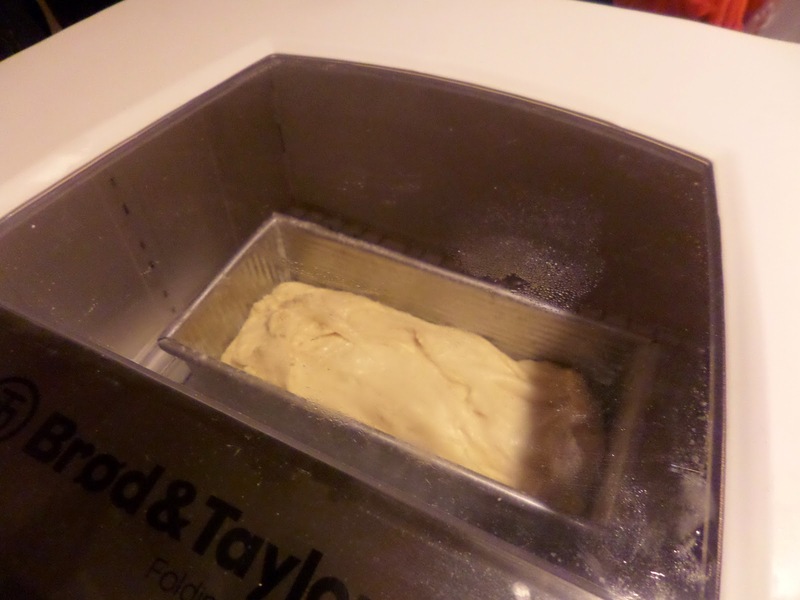 Proofing in the pain de mie tin is also at 21C for the same reason. 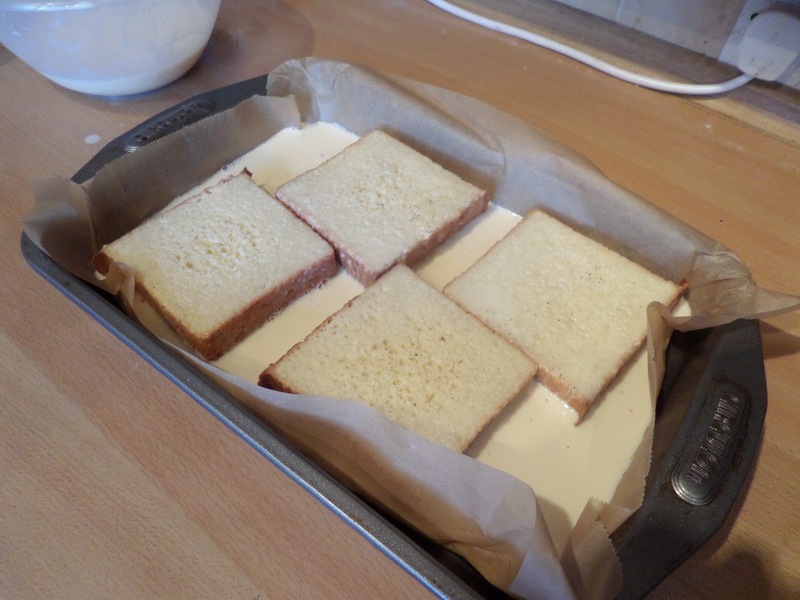 Then I get distracted by various other cooking I’m doing today, and it’s risen a little too much! I stuff it down into the pan, put the lid on, and bake for 35 minutes at 170C fan. 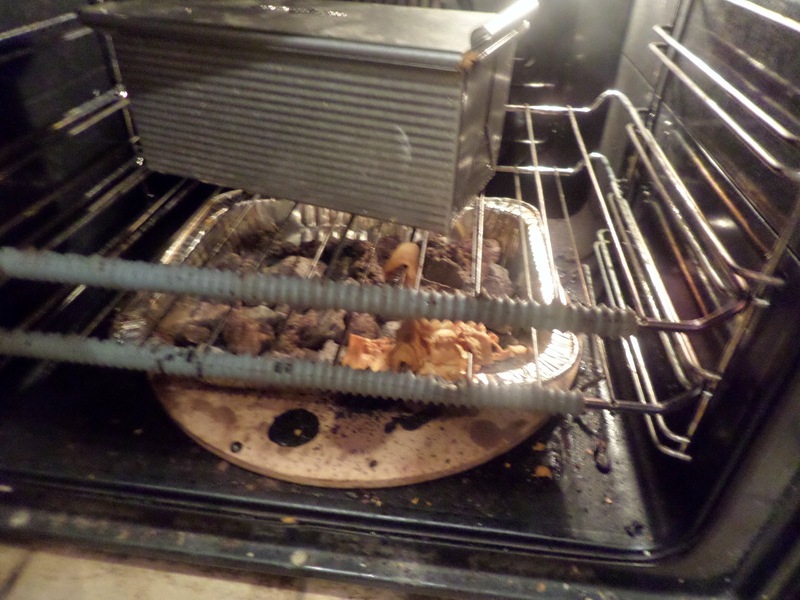 And… err… it was indeed too full, and did a little bit of exploding! 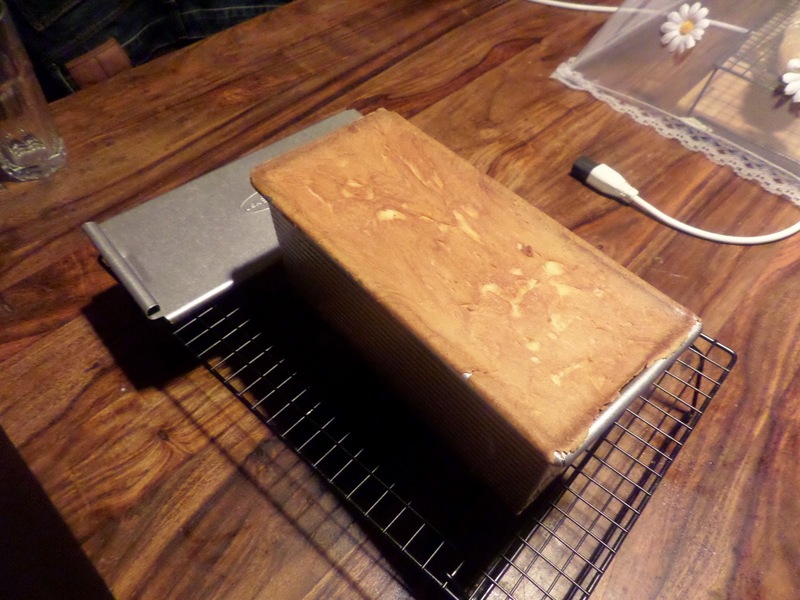 Also it wasn’t done after 45 minutes, being only 160C internal temperature. An extra 10 minutes brought it to 185C. 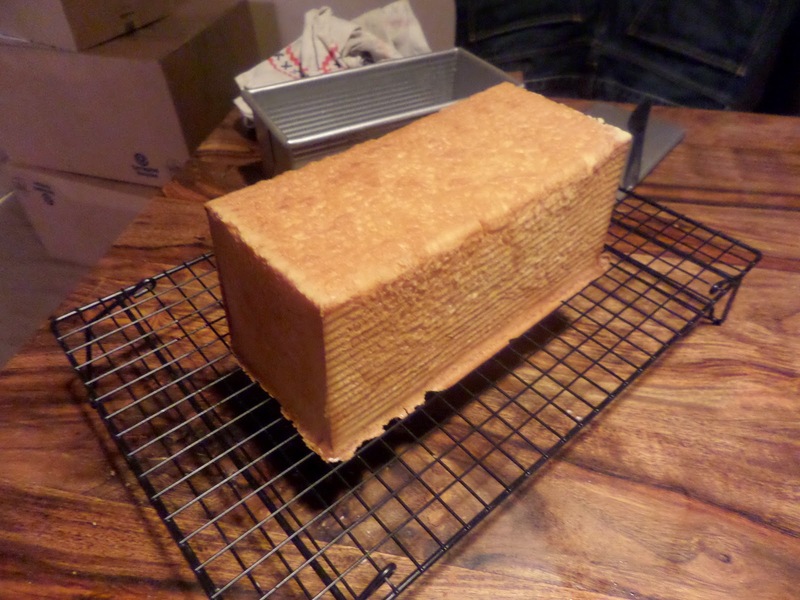 It turned out easily without any sticking which was great. 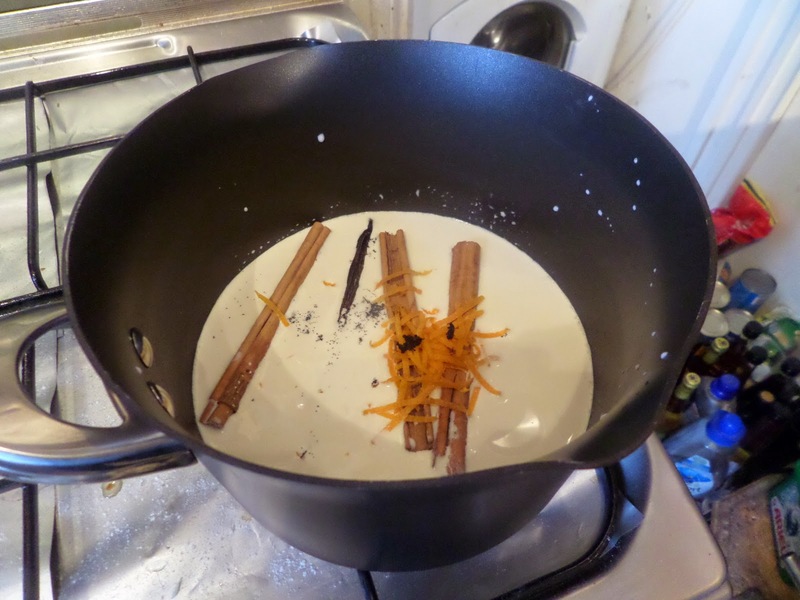 Next morning things start by making infusing milk and cream with cinnamon, vanilla & orange. Ottolenghi’s recipe is rather confusing about how and when things get sliced… so I just cut four huge slices and ran with it. 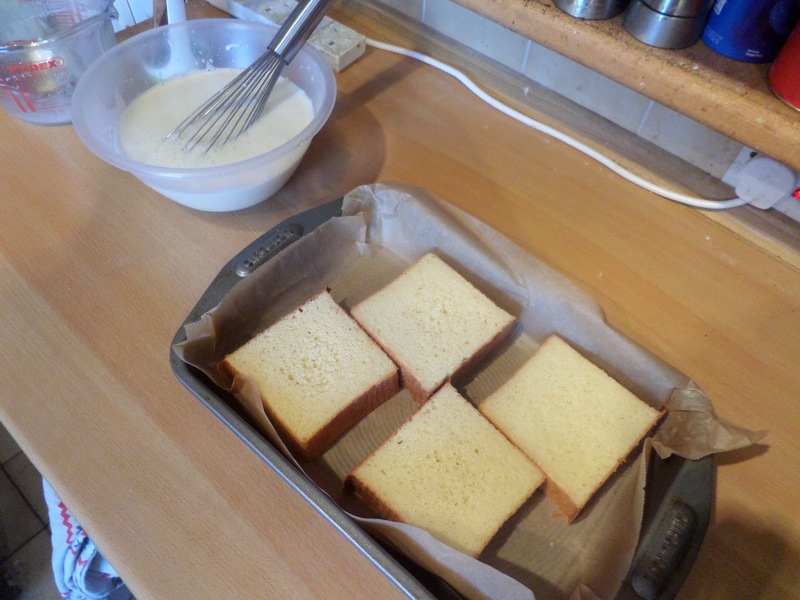 The milk mixture gets whisked with eggs and sugar to form the custard, and this goes over the brioche slices. Then into the oven at 170C fan for 20 minutes according to Ottolenghi… but I ended up having to give it 30 minutes, with the last five of those at 200C fan. 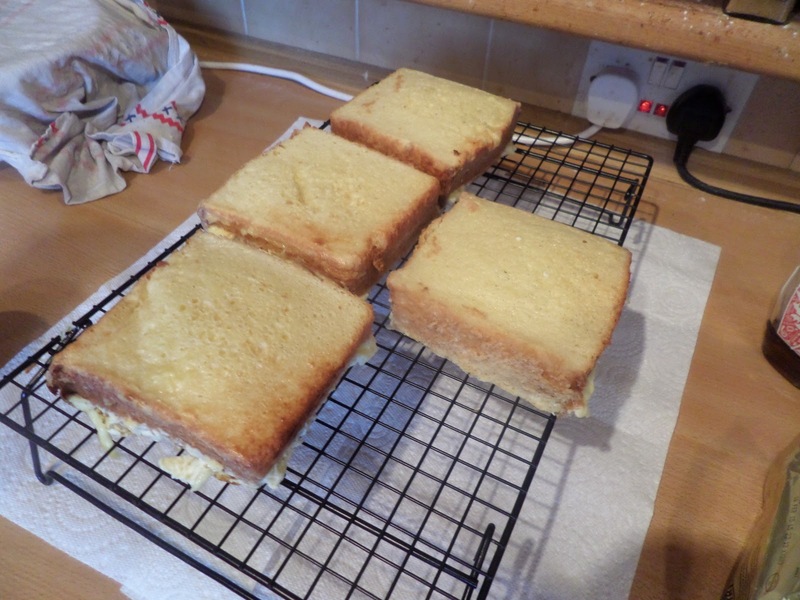 I also turned them over half way through to try and get as much custard into the brioche — I think a smaller tray would have been better. 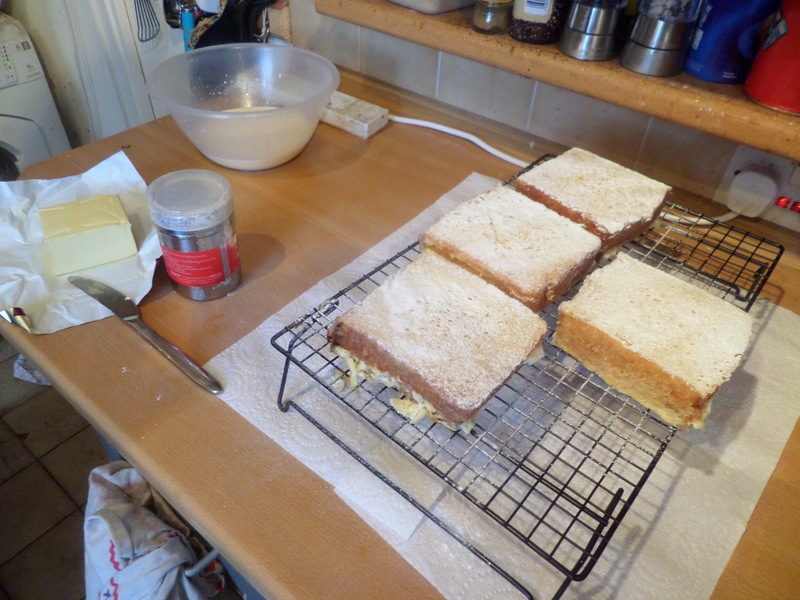 The slices get dusted in icing sugar, dipping in some custard that was reserved earlier. Then it’s frying time, in excessive amounts of butter. 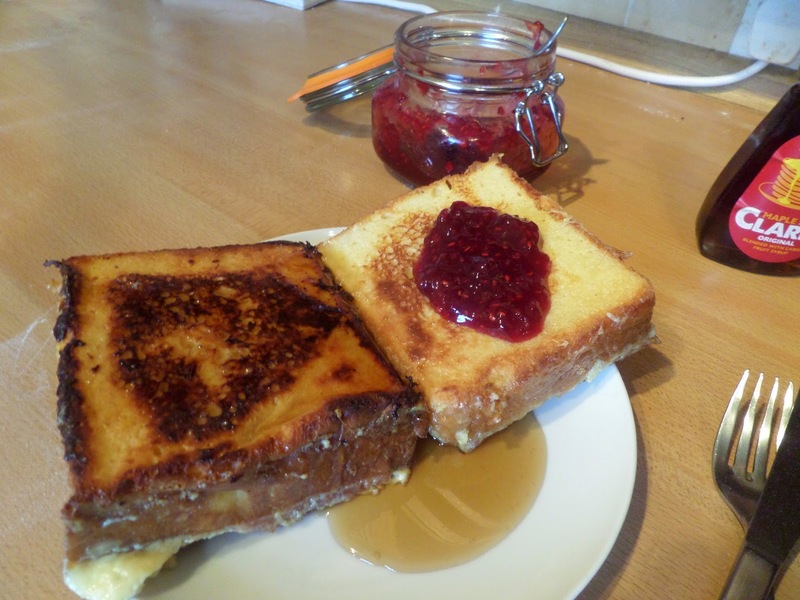 Then it’s time to eat with homemade jam and maple syrup. But totally worth it. If you’re going to spend 2,000 kcalories on breakfast, this is the way to do it! Sounds delicious. You’ll both need to run or cycle long distances to burn off all those calories though.